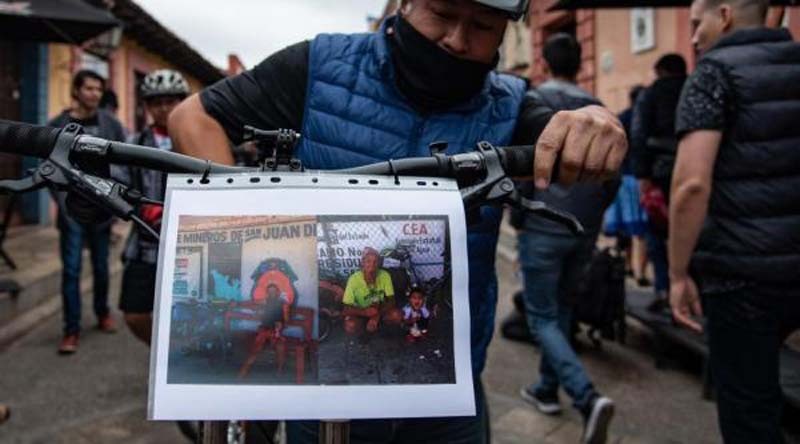 After initially being ruled an accident, the deaths of two European bicyclists in Mexico have been ruled homicides, authorities said Friday. Holger Hagenbusch, a 43-year-old German, and Krzysztof Chmielewski, a 37-year-old from Poland, were both found dead at the bottom of a cliff in Chiapas state several days apart. Chmielewski's body was found April 26 and Hagenbusch's body was found May 4, the BBC reported. The two men had been biking together in Mexico at the time, but were on different itineraries, both traveling the world on their bikes. The regional attorney general in Chiapas, Arturo Pablo Lievano, initially ruled the deaths as accidents and said they may have been run off the road by a vehicle. But when Hagenbusch's brother, Rainier, flew into Mexico to identify the body, he found that both bodies had been mutilated. Chmielewski was decapitated and Hagenbusch appeared to have a gunshot wound in his head. In addition, the bikes that were found next to the bodies had been switched, making it look like they were placed next to the bodies on purpose. After questions were raised, a special investigator was appointed to the case, which was reclassified as a homicide. "Our investigations up to now indicate this was an intentional homicide," special prosecutor Luis Alberto Sánchez said, adding that authorities are still investigating but there is evidence the incident started out as a robbery. As the killings are investigated, bicyclists in Mexico have shown support for the victims. Last week, supporters in San Cristóbal painted a bike white in memory of Hagenbusch and Chmielewski and placed it on the road near where the bodies were found. Rainier, Hagenbusch's brother, thanked Mexicans for their support. "What can I say? I stayed one week in Mexico and I found so many friends, so many lovely people who give their hearts to me," Rainier said. "Thank you Mexican people for your love, for your heart, for your power you've given me."